** All of our rates are based on a party of up to 4 guests. For each additional person, over 4 people, in your party it will add $10 onto the rate each night. 12% taxes will be added the total price of your reservation. 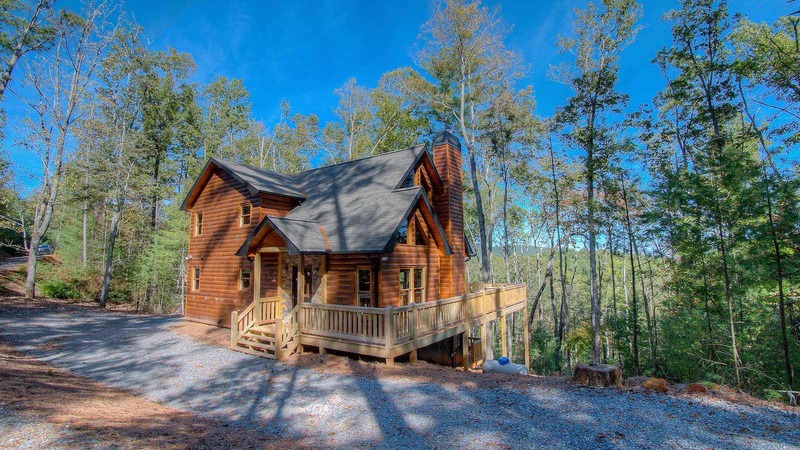 Indian Skies is a beautiful, newly constructed (2017) luxury cabin that will exceed all of your expectations for a mountain getaway in Blue Ridge, Georgia! 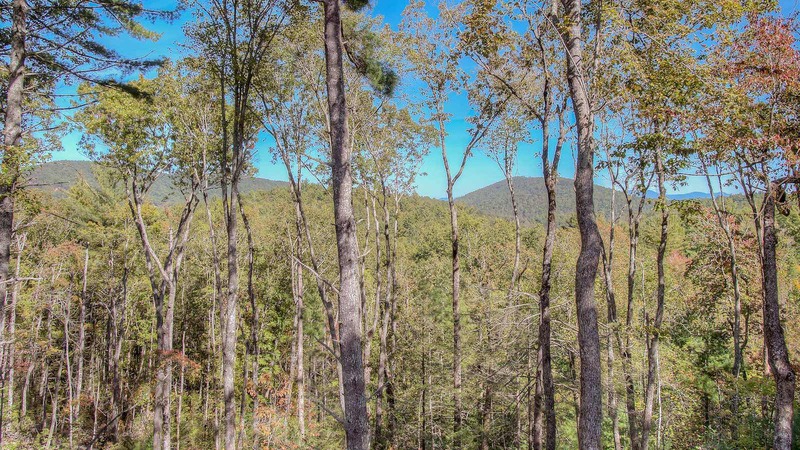 Located near the beautiful Cashes Valley area, Indian Skies is just minutes from horseback riding and about 9 miles from Downtown Blue Ridge! The stone entryway welcomes you into the luxurious kitchen and great room. This spacious great room has a stone wood burning fireplace, soaring ceilings, a wall of glass that faces the year-round mountain view, and seating around the fireplace and flat screen TV. The dining table has seating for up to 6 guests and is highlighted by a gorgeous and unique bark siding wall. The fully equipped kitchen is complete with granite countertops, a copper sink, stainless appliances, and a stone breakfast bar for additional seating. The over-sized furniture surrounding the wood-burning fireplace that spans from floor to ceiling and will certainly, make for memorable evenings while relaxing. The main level is also where you will find one of the two master suites! The bedroom has a king bed, TV, and double doors and windows that face the view of the mountains. The bathroom features a double vanity with copper sinks, tile shower and a jetted garden tub. 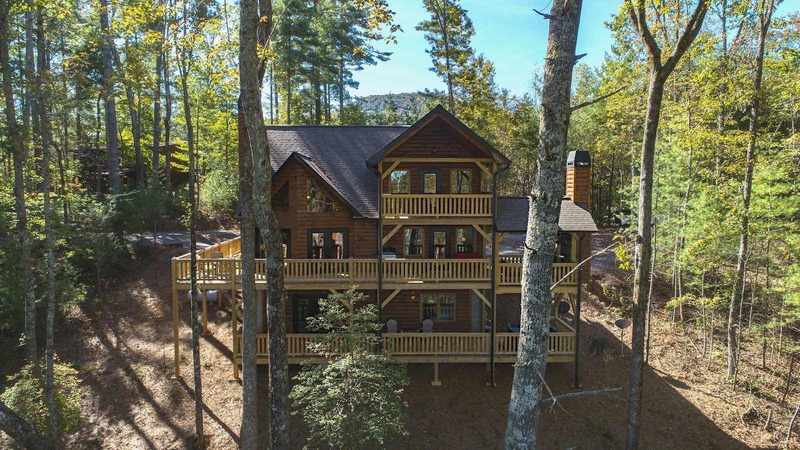 The wrap around porch/deck on the main level features a propane grill and an outdoor dining set with seating for 6 that is perfect for dining al fresco all while enjoying the beautiful mountain view! The cozy covered porch with the wood burning outdoor fireplace also has comfortable, cushioned seating that make it the ideal place for evening fires after dinner or just a nice place to grab a drink with friends. The upper level has a loft with a foosball table and the second master suite. This king size master is complete with a TV and its own private balcony with the best view of the mountains and the second master bath with double copper vanities, tiled shower and a jetted garden tub. You can enjoy a relaxing bath, then retire to the balcony for some quality time for two or have your morning coffee here to start the day while basking in the peace and quite of the mountains. The completed basement level is where you will find a game room with a gas log fireplace, sofa and loveseat, a very nice wet bar for entertaining and a pool table. This room will allow for fun regardless of the weather outside and is sure to please all your guests! The third bedroom also has a king-sized bed, TV, and you will also find the 3rd full bath just across the hall from the bedroom. This bathroom has a single vanity with a copper sink and standard tub/shower combo. Outside this level is where you will find the hot tub and additional outdoor seating for relaxing between soaking in the hot tub spa. 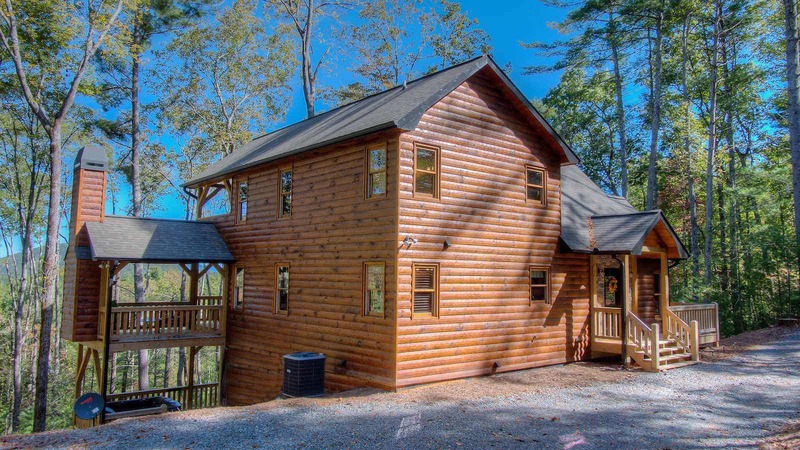 Indian Skies is definitely one of those cabins you will fall in love with and never want to leave! linens, dishes, pots, pans, towels, washcloths, etc..
Small soaps, initial supply of toilet paper, dishwasher detergent for two cycles, 4 garbage bags for the kitchen. Papertowels, garbage bags(if you will need more than 4) charcoal for grill if needed, starter logs for wood buring fireplaces, washing powders.